If you want to step off the beaten track and explore the great outdoors in Dumfries and Galloway, why not find out what a local photographer and keen walker would recommend? We asked Allan Devlin of South West Images Scotland for his top tips on lovely places to walk, where to really get away from it all and his favourite places to take photos. As well as taking beautiful photographs of the area and walking its many tracks and trails, Allan has written articles on the outdoors and walking in the region for publications such as Outdoor Photography, Dumfries and Galloway Life, and The Great Outdoors. What is your favourite thing to photograph in Dumfries and Galloway? The landscape of Dumfries and Galloway is stunning at any time of year so I am spoilt for choice when it comes to taking photos. But my favourite thing to photograph is the coast; the rugged cliffs, beaches, the sea in all its moods. If the sea is still or the tide has just gone out and the sand is still wet you can get some amazing reflections as the sun rises or sets. Where do you go for a good sunset shot? I always like to get across to the scenic coastal village of Portpatrick with its quiet relaxed atmosphere and busy wee harbour. Just to the north of the Port, as the locals call it, is Killantringan Lighthouse and beach where I like to go to take photos of the sunset. Do you have a favourite section of the coastline? Each part of Dumfries and Galloway’s coastline has its own mood. Corsewall Point has a wild rugged feel about it while the Nith Estuary, overlooked by the solid lump of Criffel, has a much more fertile, gentle, timeless feel about it all of which I like. Which walk would you suggest to a visitor who is looking to get ‘off the beaten track’? It would have to be in the rugged Galloway Hills at Glen Trool, a little bit of the highlands in Galloway. Described as a ‘weird wild world, new strange, not out of chaos – not yet approved of god’ the Galloway hills not only have interesting geological features but are steeped in history. Can you recommend a fun family walk? 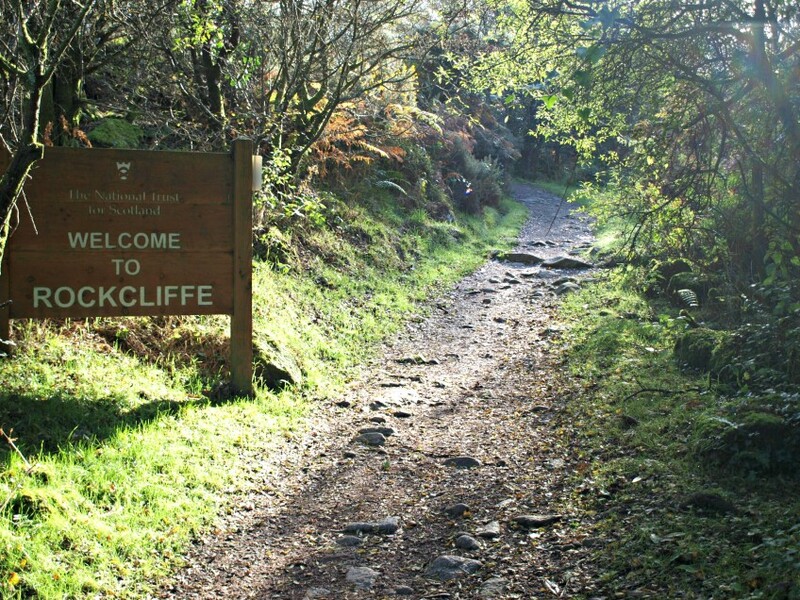 From the sleepy village of Kippford, on the River Urr, along the Jubilee Path with its breathtaking display of bluebells in the spring, to Rockcliffe. Depending on your route and the tides you can even visit an island, Rough Island, on the way. Where do you go to really lose yourself in the scenery? It has to be Glen Trool where you can wander around all day taking photos and not meet another living soul, it’s so quiet. What is your favourite season for walking? For coastal walks it is spring/summer, when the butterflies, wild flowers etc are stunning. 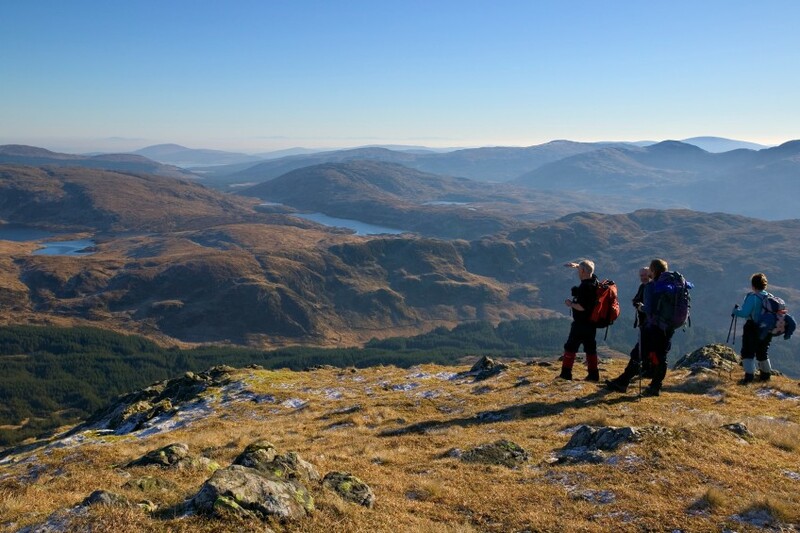 In the autumn/winter, with no midges, the hills with their rich autumnal colours are the place to be, particularly if there is snow on the high tops. Do you have any tips for visitors that they might not find in a guidebook? Dumfries and Galloway is a place to relax so my advice is just relax and enjoy the peace and tranquillity. What are your top three highlights of the area? 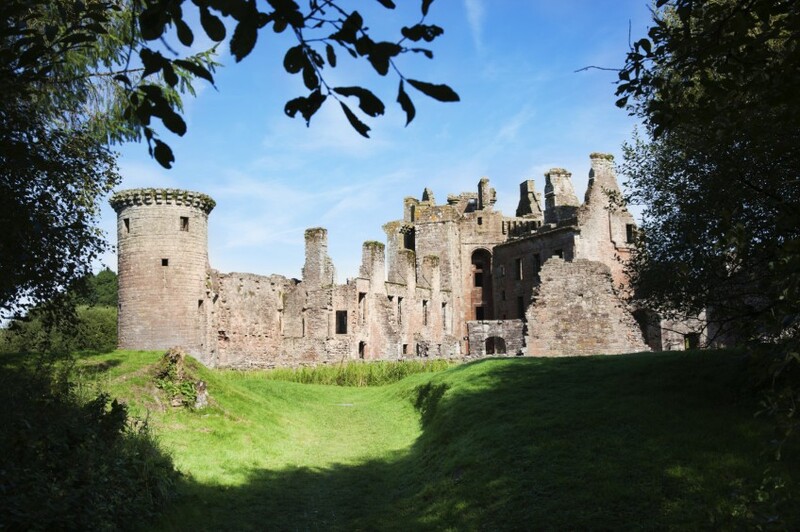 I guess the romantic red sandstone ruins of Caerlaverock Castle would be my first highlight. Not only is the castle steeped in bloody border history, but it’s also in a National Scenic Area and there are some great walks in the area. My second would be Castle Douglas, the Food Town, with its bustling main street full of small shops, which unfortunately has become quite a rarity today. And finally, the Mull of Galloway, Scotland’s most southern tip, with its lighthouse, nature reserve and a stunning cafe which sits on the edge of a cliff. Can you describe Dumfries and Galloway in one word? I’d also give a big thumbs up to the circular walk from Balcary Bay via Rascarrel Bay – great scenery, and esp. good during Spring with lots of birds nesting on the rugged cliff sides. Thanks Anthony – sounds lovely!